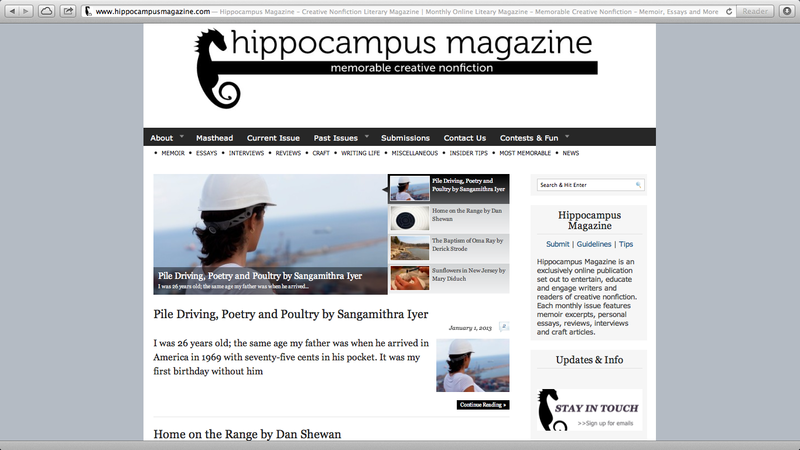 My essay “Pile Driving, Poetry, and Poultry” was featured in the January issue of Hippocampus Magazine, the online journal of memorable creative nonfiction. Happy New Year! My essay was selected to be included in the “Most Memorable” section. Posted in Writing and tagged Chickens, grief, writing.